Morrison’s luxury gated community of West Ranch has 41 homes and is located just off Hwy 285 by South Turkey Creek Road and West Ranch Trail. You will find lavish custom 2-story and ranch homes for sale in West Ranch accompanied with 3,000-7,00 square feet architectural design floorplans and 3-car garages. This friendly neighborhood was first established in the mid 70’s and has gradually grown throughout the mid 2000’s. With 10-20 acre lots, most properties allow horses and are ready to entertain family and friends from their stamped patios, walkout basements and extensive decks. 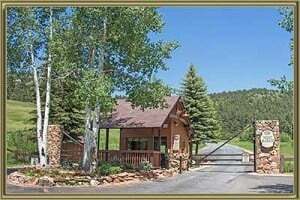 Elevations average 7,500 feet and offer panoramic views of the Denver skyline to the mountains. Homes in West Ranch encourage outdoor admirers with 500 acres of open space for nature lovers, equestrian paths, hiking, biking and walking trails. No need to worry about removing snow because the West Ranch HOA has that covered. Only 35 minutes from downtown Denver, minutes to metro Denver, Conifer, Highway 285 and C-470 for dining, entertainment and shopping. There are several shopping centers nearby at Southwest Plaza, Colorado Mills or Belmar. For the golf devotee, you can enjoy Red Rocks Country Club, Evergreen Golf Course or Homestead Golf Course and many more with a short drive from homes in West Ranch. See what your home is worth With an Instant Home Valuation Online. Want advice on selling your house? We provide a free staging consultation, pre-listing prep plan, and a West Ranch real estate market analysis. Call us at 303-325-5690 to learn more. New to the Area? Call our West Ranch real estate agent at 303-325-5690 to schedule your tour of Homes in Morrison CO.